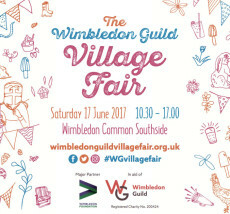 Make sure you have the date in your diary and join in with the fun at the Wimbledon Guild Village Fair. Taking place on the picturesque Wimbledon Common Southside on June 17th, it is the largest free outdoor event in South London. Entrance between The Green and Southside Common. The Wimbledon Guild Village Fair caters for shopaholics, foodies and families alike with its huge range of entertainment including food villages, shopping areas, children’s zones and performances.